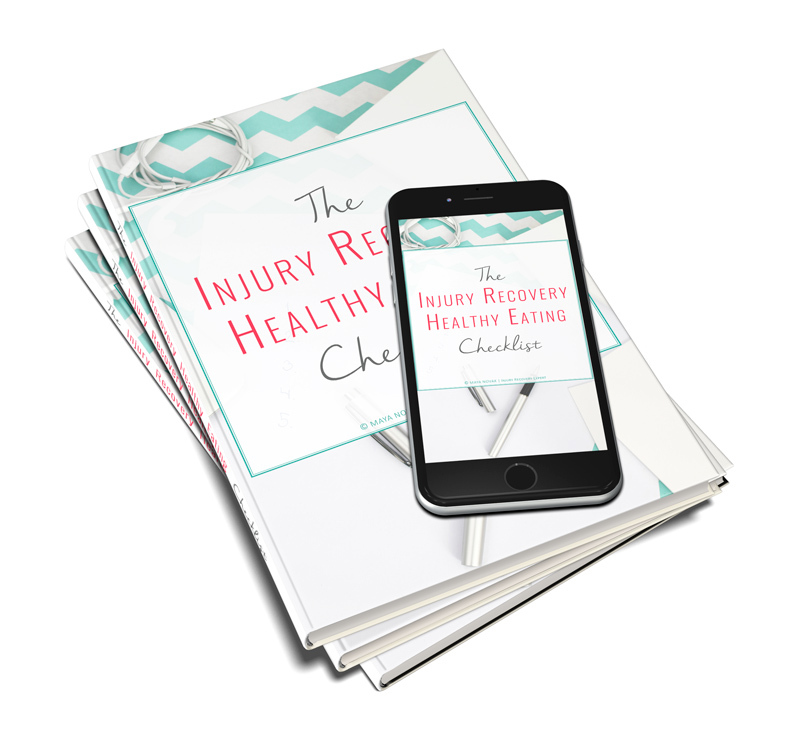 Delicious and easy recipes, meal plans and other goodies for your amazing injury recovery. Foods you eat can either help you or delay your recovery. Boost your recovery and say goodbye to soreness and swelling with healing foods. Eating foods that love you back can immensely improve your outcome. When taking proper care of the diet, you can expect less pain, less swelling, faster and better healing – and it’s also easier to maintain healthy body weight. You deserve the best recovery possible, and with these easy and delicious recipes and meal plans, you are just one step away from your amazing comeback. Yes! I need this for my recovery. Diet has a much bigger impact on the recovery process than a lot of people know. With the right foods, you can speed up healing, ease pain and swelling, and maybe even say goodbye to a potentially negative outcome you heard about. For example, recent studies show that there is a connection between the foods we eat and development of osteoarthritis. And those who suffer from rheumatoid arthritis can greatly improve it by changing the way they eat. Another example is vitamin C, which plays an important role in collagen production, and consequently in wound healing. A diet high in foods loaded with Vitamin C promotes better healing. With every meal you prepare for yourself, you can help your body tremendously. Those injured people that take care of the whole diet (not just adding some anti-inflammatory foods here and there) experience less soreness, less swelling, less inflammation and also better flexibility. Foods are truly powerful. You deserve the best recovery possible – with foods that love you back, getting there becomes a lot easier. I created these healing goodies specifically for people like you, who want the best for themselves and their recovery. Inflammation is a normal part of every recovery – this is how the body fights off infection and how it heals itself. Some swelling and soreness in the injured part of the body is completely normal, however, a lot of the times, injured people add fuel to the fire with the foods they eat. With the right diet and foods that love you back, you eliminate the unnecessary extra inflammation and the result is better and faster healing. 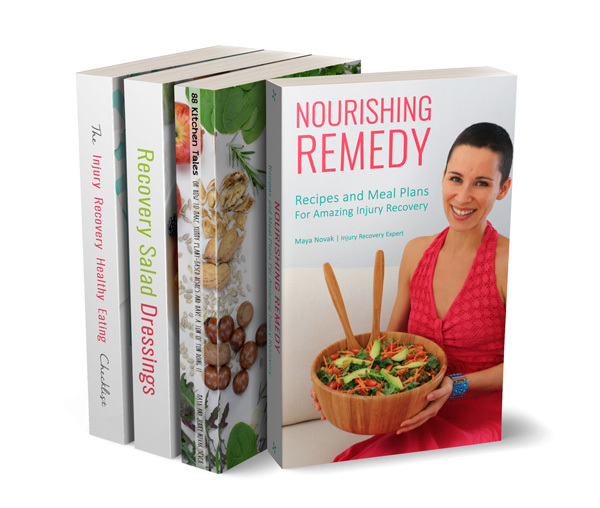 There are 49 nutritious recipes waiting for you in Nourishing Remedy. It takes care of your whole day, and if you have a sweet tooth, guilt-free recovery desserts are there as well. When it comes to preparing food – QUICK and EASY is the motto of this book. Under every meal, there is a calorie and macronutrient breakdown. This is NOT to complicate your life OR so that you would be super stressed when choosing your food. The reason is simply to give you an extra insight into what you’re putting in your body. 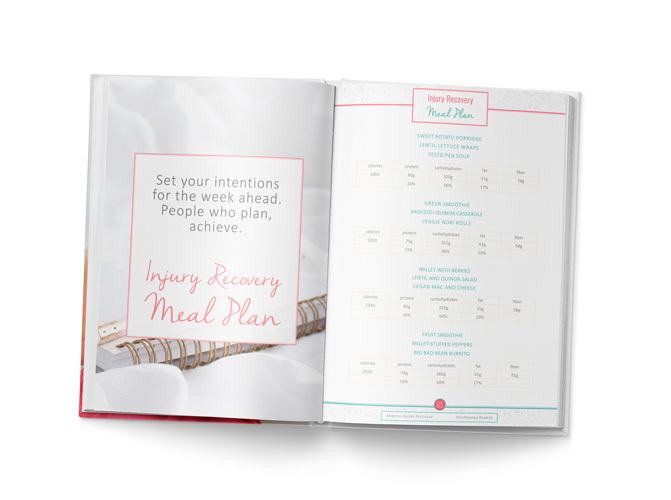 To make your days easier and your recovery better there are meal plans with recipes and nutritional breakdowns waiting for you. There are 3 meals per day, however, you can always include more food in your day if you feel that this is necessary. 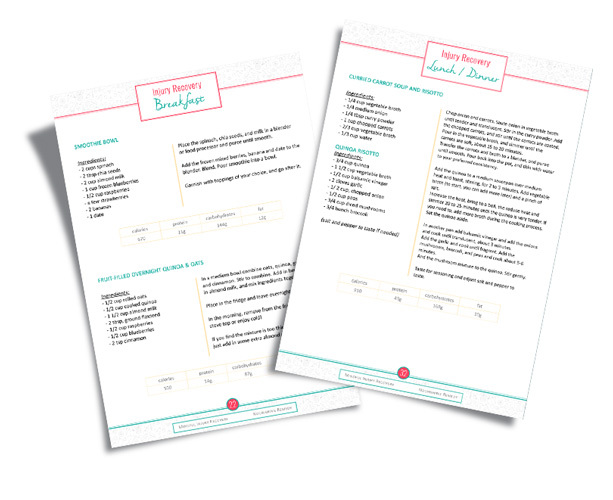 Besides the ebook Nourishing Remedy with delicious recipes and meal plans, you’ll also get some amazing bonuses that will boost your recovery even more. This cookbook is different than most of the cookbooks you can find online or in bookstores. We spent the first year of our plant-based journey documenting what was going on in our kitchen, and all the ingredients and tastes we were experimenting with – and this was the result! 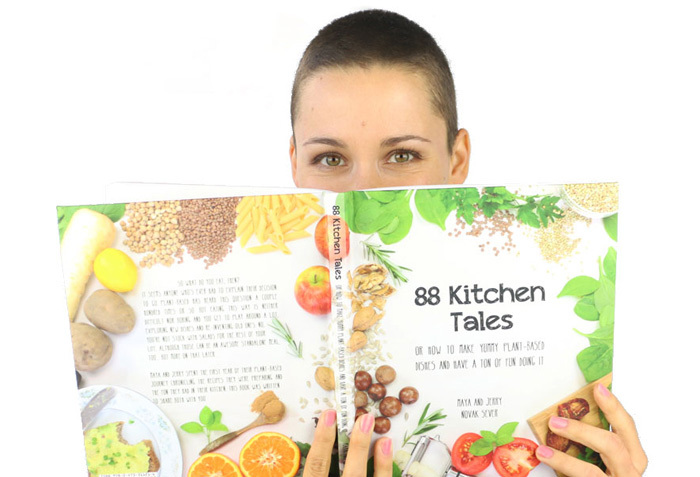 88 recipes and 88 tales of how, why or when we came up with each of them. Fun fact: we were deciding on the cover when I was in the hospital waiting for the ankle surgery. Eating the most nutritious foods while recovering from any kind of injury is important. And yes, a salad can be the main course. 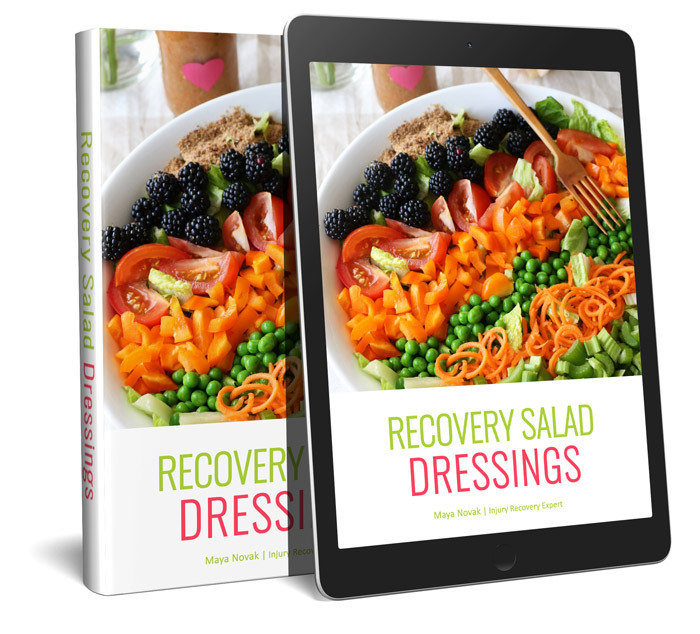 Of course, the structure of the main course salad is slightly different (you’ll learn more in this bonus), and with the salad dressing recipes in this e-book you will create nutritious recovery goodness. Through years of working with clients, I noticed some questions and fears repeat over and over again. Living in a world where there’s tons of information available on healthy eating and important changes for the best injury recovery, sometimes we get confused or not sure if we are getting every single nutrient our bodies need to heal properly and thrive. This checklist will make this easy-peasy for you. Who doesn’t like great surprises? Besides the bonuses above, you will get 3 more when you treat yourself with this healing goodies. Taking care of your diet during recovery improves your healing potential. Your body needs lots of anti-inflammatory foods during this delicate time. Adding some here and there could work, however, people get the best results when they take care of the whole diet. 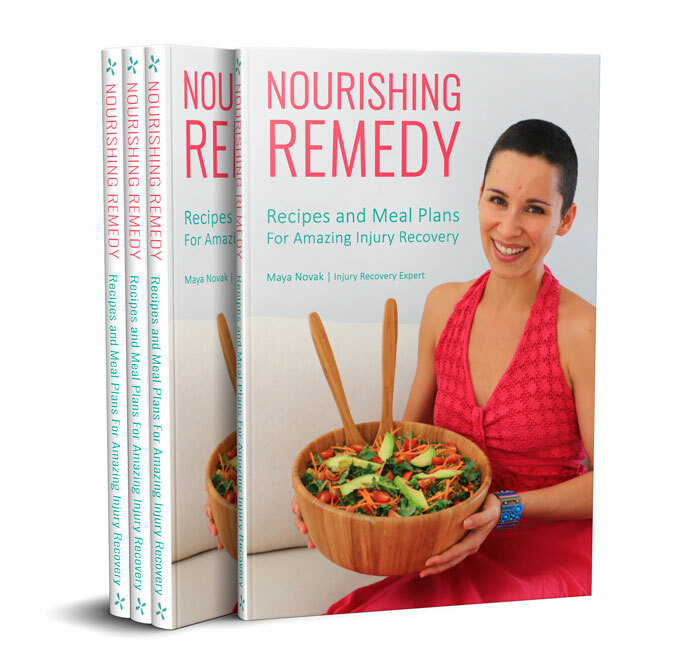 Nourishing Remedy helps by making the necessary changes (or tweaks) to your diet effortless. You – or the person who is taking care of you at the moment – will prepare the dishes from scratch. 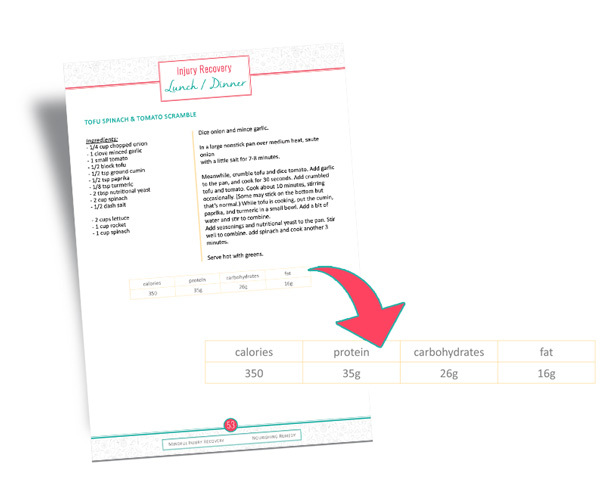 There are no processed foods listed in the recipes. 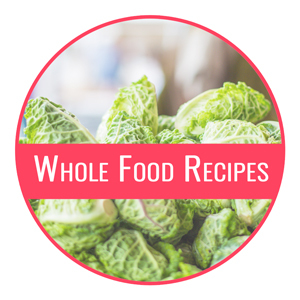 Whole foods are the way to go when it comes to the best injury recovery. 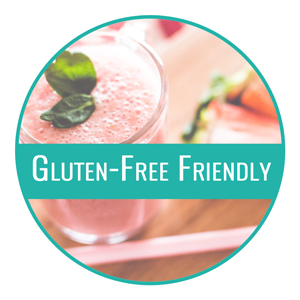 Whether you are gluten sensitive or not, the recipes and meal plans do not include grains with gluten. You will be enjoying grains like buckwheat, quinoa, corn… however, if you love grains like wheat, barley, and rye, you can easily replace them in the recipes. 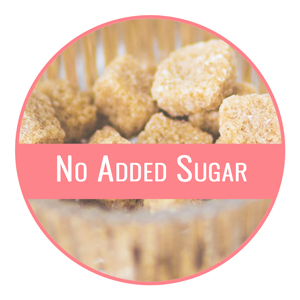 Processed foods, such as sugar, are high in calories and have low nutritional value. While recovering, you need foods that love you back. But don’t worry – there are recipes included that will soothe your sweet tooth! 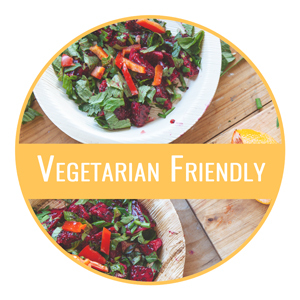 All recipes and meal plans are vegetarian-friendly. Woohoo! 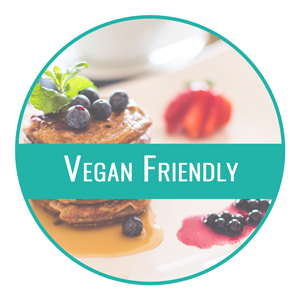 …and even better – all recipes and meal plans are vegan-friendly as well. Experience less soreness, less swelling, less inflammation and better flexibility. Maya Novak is a passionate Injury Recovery Expert and Mindset Coach with over a decade of experience in wellness, fitness, and nutrition. The study of veterinary medicine gave her insight into how the body works. 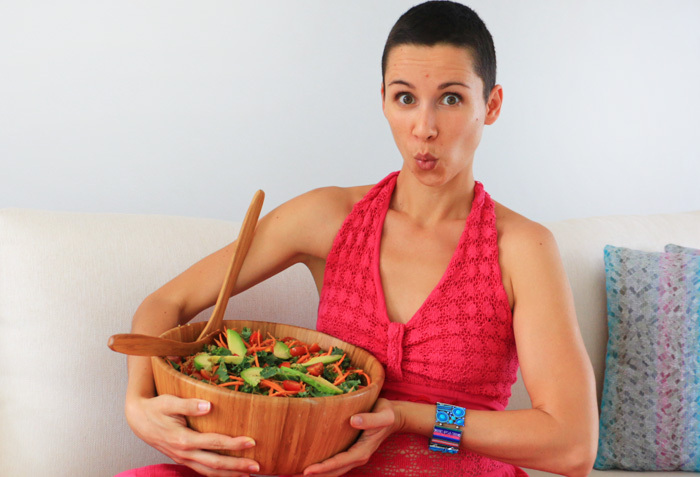 Her curiosity and study of nutrition gave her the understanding of the power of foods. And a rock-climbing accident and a terrible fracture of the ankle in 2012 that should have left her limping for the rest of her life led her to discover her true purpose in life. 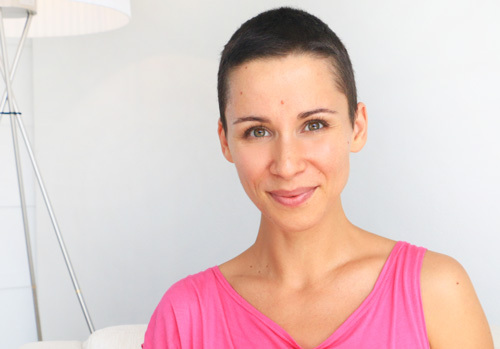 Her passion for the mind-body connection and all her life experiences led her to create The Mindful Injury Recovery Method that helped her recover fully with ease and beyond anyone’s expectations. And now this approach is helping injured women across the globe unleash their healing potential so they can heal completely and live a joyful, happy and full life. Cook, eat, have fun and say goodbye to long recovery with foods that love you back. *The prices on the website are in US dollars. All sales are final.